These cross cultural inspired songs are a gift to the Earth and to the ear. Williams and Thiels voices are like a healing balm in a stressed out world. "Put on your wings and go, if you can fly this high! 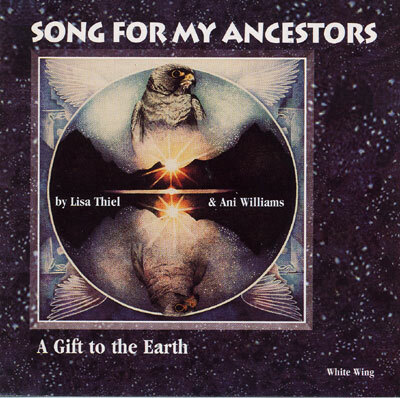 Ani Williams plays my heartstrings like she plays the cross cultural harp, weaving her angelic and shamanic spells . . . on this most intriguing disc."